Whether you have one employee or hundreds … as their employer, you are responsible for their safety. Maintaining a safe workplace environment is more than just good business practice — it's the law. Attend this powerful one-day seminar and discover how to make sure your workplace is safe, secure and OSHA compliant. The latest changes in OSHA rules and regulations — how will they affect your organization? Making sense of OSHA's confusing language and government "legalese"
Could your organization pass an OSHA inspection tomorrow? In just one class of OSHA training you'll learn:, we'll cover all of the latest regulatory information concerning safety, health and environmental issues in the workplace. You'll discover dozens of cost-effective ways for getting your organization into compliance, learn how to expand the effectiveness of your safety training program, find out how to keep the meticulous records required by OSHA, and learn how to assess your organization for a variety of hazards. We'll also show you where to turn for up-to-the-minute information on OSHA's newest rules and regulations, so that you can keep abreast of changes that might affect your work environment. This seminar will set your mind at ease and make sure that when OSHA knocks on your door, you'll be ready! Sign up for this seminar now — and avoid costly OSHA slip-ups in the future! Guidelines — there are only a few, but they are important! Does the duty to provide a reasonable accommodation to a disabled worker under the Americans With Disabilities Act conflict with OSHA’s requirements to provide a safe workplace under the General Duty Clause? What are willful, serious violations? Which violations are not so serious? Safety Data Sheets — Where do you get them? Do you have to have a hard-paper copy of them? How long do you retain them? Do you have to keep them in a language other than English? 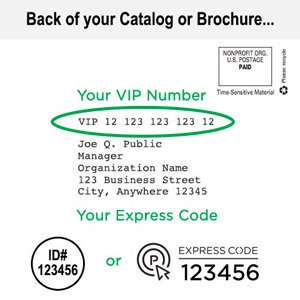 Labeling — Many employers leave off a critical element on a secondary container label. Are you one of them? The bottom line — How much money can OSHA citations really cost you? How to conduct your own OSHA inspection — Catch and correct problems before they become big headaches! Should you consent to an inspection or demand a search warrant? 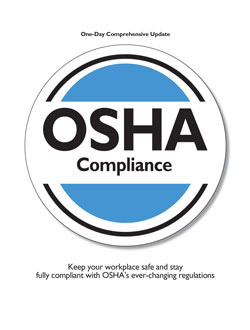 Where can you keep and maintain OSHA records? How should you choose an official record keeper?